Such lovely fabric! Something to start the New Year off in a fablourious (new word, hehe) way. Oh you are making it so hard! There is not one fabric there that I do not love.I cannot wait to see what you do with all that loveliness! 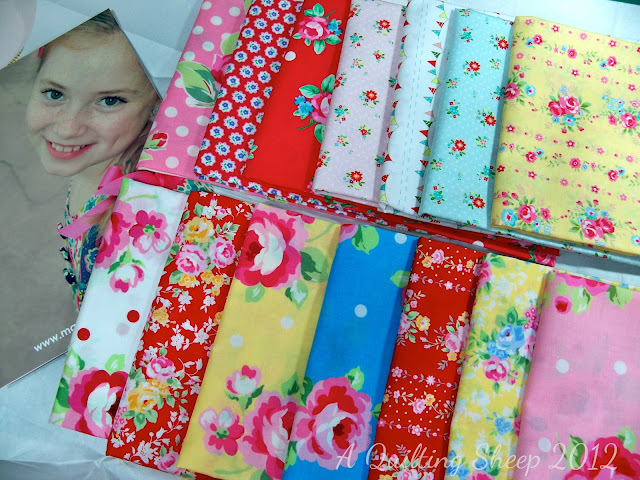 Those fabrics just scream 'Amy'! Hope your dad's quilt turns out great! 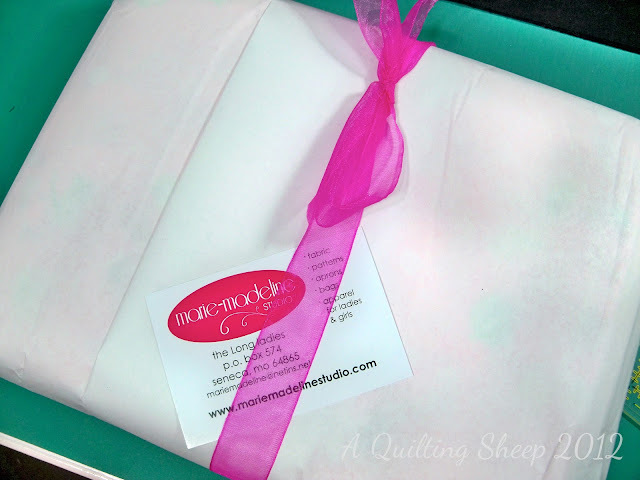 The special packaging makes the fabric seem even prettier. 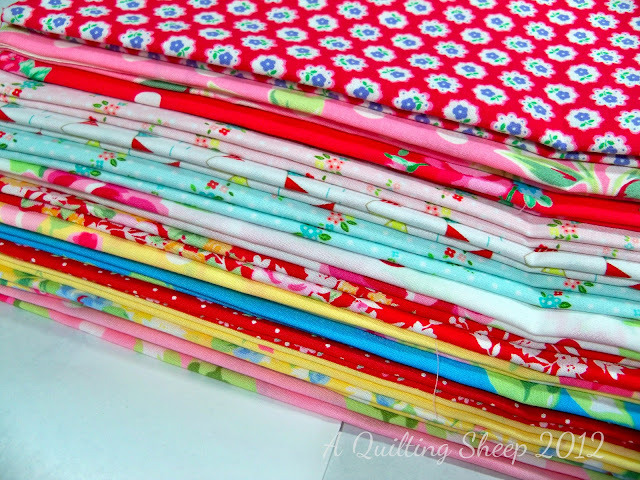 The fabric with the bunting print has me curious - which print is it?